Luke discusses a story that broke last night, dealing with information security, whistle-blowers, and some basic common sense tips that journalist should using. The first whistle-blower was just prosecuted by Donald Trump. Luke gives us the full rundown on exactly what happened. 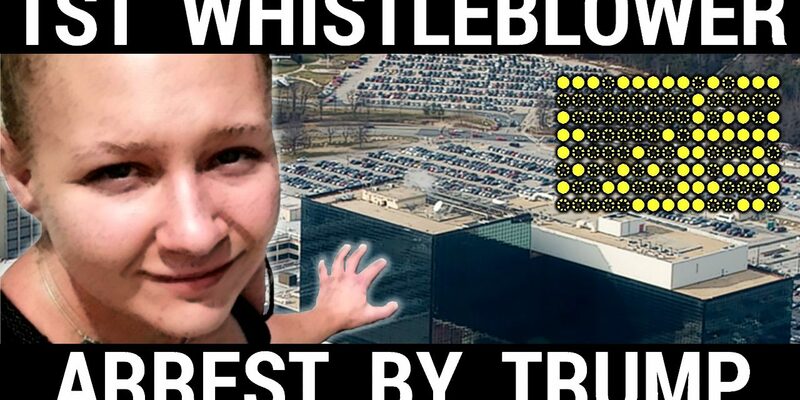 A 25 year old NSA contractor named Reality Leigh Winner supposedly leaked a Top Secret NSA document and gave it to the Intercept- which they then published under the title of “Top-Secret NSA report details Russian hacking effort days before 2016 election.” The NSA contracts other institutions to do a lot of their dirty work, because they are exempt from public inquiries and freedom of information act requests. 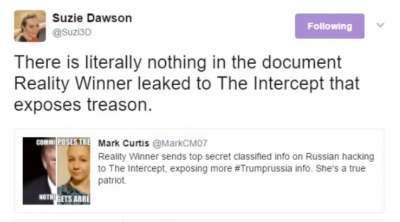 This leak seems politically motivated, if you look at Ms. Winner’s twitter page you quickly see that she did not like President Trump and espoused support for people like Bernie Sanders. 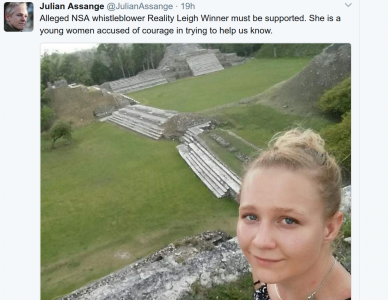 According to Wikileaks, the Intercept gave the document to the NSA , which included her postal code and her report number. This was done to verify the story, the NSA responded back and told the Intercept that they should not release certain excerpts from the report. 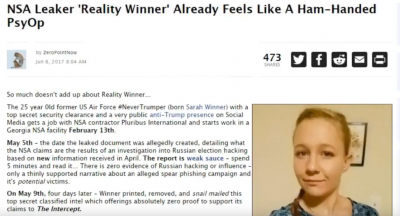 The Intercept complied, and then ran with the story- after essentially throwing the whistle-blower under the bus! It’s important to note that the documents don’t indicate any actual hacking of voting machines or vote counts. It is does seem to show that Russian military hackers impersonated a Florida company and sent malware to over a hundred local government officials. Still many mainstream media outlets are running with the story, saying that this is finally proof of Russian hacking of the 2016 election. Those allegations are false- the documents don’t really prove any sort of bombshell information except for the usual hacking and spying games that happen between Russian and the United States. This story shows the incompetence of the Intercept. 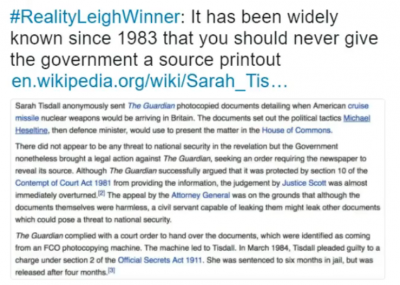 By attempting to verify the document they received, they gave the original document that she provided to the NSA. In doing this, they exposed the source of the information- as it’s well known that printers have tracking codes on printed pages. These codes often link it to the time it was printed, to the printers serial number, and possibly the exact person who did the printing. Information has been known since 1983 and is standard on most printers and scanners. 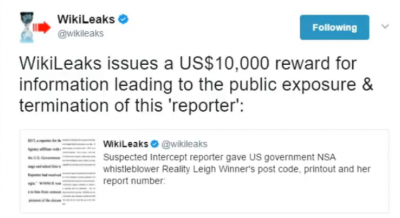 This of course has upset the whistle-blower community, even causing Wikileaks to offer a $10,000 dollar reward to reveal the identity and termination of the reporter who gave the document to the NSA. 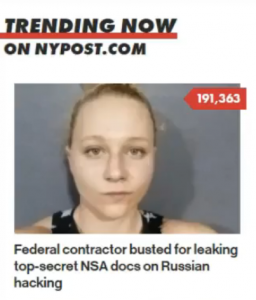 The leaks aren’t that significant, and the Intercept have inadvertently imprisoned a whistle-blower due to their lazy incompetence, which should have been handled much more professionally. Luke finds it very interesting watching the debate play out. This whole incident gives a black eye to the Intercept and their incompetency when dealing with sources in the government. This should be a very important lesson to learn, because it should be common sense, especially from an organization that specializes in national security issues. PreviousVideo: CNN Religious Guy & Theresa May GO CRAZY!